Hobbes was wrong. There are plenty of harsh realities in ‘primitive’ life to undermine the simplistic aspects of the thought of Hobbes’ antithesis, Rousseau. However, the most striking thing about Hobbes’ thinking, looking back from our current state of knowledge, is the fact that the basic premise with which he supports all of his other ideas about our state of nature — its supposed atomistic competitiveness — is so comprehensively mistaken. ‘Solitary’ was the last thing early humans were. Of course this has long been acknowledged within anthropology (even as Hobbes-tinged ideology has gained ground in wider society2 ). But anthropologists are still processing exactly how wrong Hobbes was. 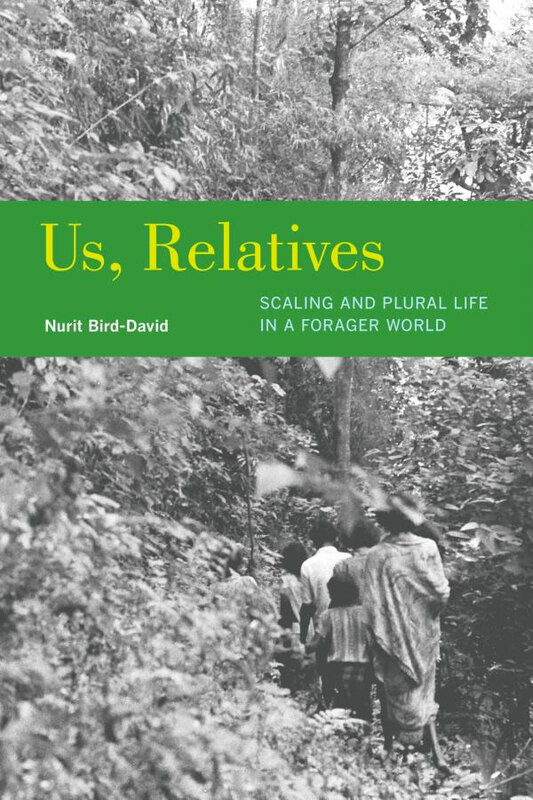 This important new study by Nurit Bird-David, noted in the field for her work on animism, is at the forefront of efforts to understand how our modern ways of imagining social being have hobbled our attempts to understand the way small-scale foragers — thought to represent a hefty chunk of our evolutionary past as humans — live and understand their lives. The approach here is fascinating. Bird-David cut her ethnographic teeth back in the late ’70s, spending time with a forager group in South India known as the Nayaka.3 She’s revisited the same people periodically, but this book isn’t the result of new fieldwork. It’s largely based on her original notes from forty years ago, and functions as a kind of meta-anthropology. She revisits and reprocesses her experiences and thinking back then, reframing them with a newly focused question: how have her own ingrained ways of imagining community and social relations, specifically her grounding in vast social scales, obscured the perspective of ‘nano-scale’ Nayaka society? Anthropology has developed a well-intentioned ‘scale-blind’ commitment to multiculturalist equity between the cultures it studies, respecting the beliefs of tiny forager groups as much as those of huge nations. But to what extent does this scale-blindness sideline crucial differences in how dynamics change across social scales? Bird-David argues that this blindness is deeply significant. Interspersed between the chapters are several ‘downscales’, attempts to critically analyse the ethnographic tools and methodologies she originally went to these people with, with an eye on how scale-blindness subtly distorts. Map-making, demographic censuses, diagramming kinship structures, identifying culinary and medicinal plants, and assigning ethnonyms (like ‘Nayaka’) to small-scale peoples, all come under scrutiny, which makes this work simultaneously a cutting-edge update on and a kind of critical introduction to the practice of anthropology. The name ‘Nayaka’ is immediately a source of problems. This isn’t really the term they use for themselves. In fact, there is no racial, cultural, or geographical term they use properly for themselves. They usually use sonta, something known as a ‘we-designation’. Its rough translation is the book’s title: ‘us, relatives’. It echoes many more famous indigenous self-designations, such as Inuit (‘people’) and Ainu (‘humans’). It’s tempting to see dim origins of the racist dehumanisation of ‘others’ in this, but, as we’ll see, this would be yet more projection of larger-scale (even modern) social perspectives. The key here — and this taps into Bird-David’s work on animism — is that the type of togetherness implied by sonta operates more in the realm of presence than in the realm of categories. Animal and spirit persons, as well as human persons, populate the everyday world of the Nayaka, and all are sonta. 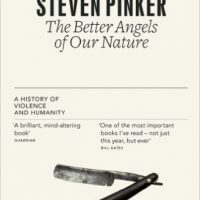 ‘Other’ humans — such as nearby plantation workers, or anthropologists like Bird-David — are encountered not in terms of abstracting their individual qualities into categories (being ‘white’, ‘Tamil’, or ‘Hindu’ — what Benedict Anderson has called ‘imagined communities’), but in terms of their distinct, manifold presence. If they are present often enough, and don’t behave like dicks, they casually become sonta. Crucial to this sense of belonging through presence is a mode of being that — in order to circumvent the distorting effect of the modern notions of ‘individual’ and ‘society’ — Bird-David felt it necessary to coin a new term for: pluripresence. Social scale is small enough that everyone is intimately known to everyone else. 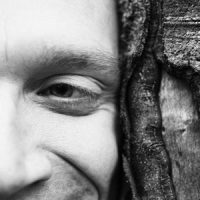 Even if not everyone is physically present all the time, everyone is imaginatively present to everyone else in a way fundamentally different from our inclusion of large numbers of theoretically allied but practically never-to-be-met people in our ‘imagined communities’ of nationhood, race, class, and so on. The core concept of being is multiplicity, and while collectivity is key, society is never a ‘whole’ in the sense of being reified as a large-scale ‘unity’. Our ability to imagine a mythic individual as being representative of an imagined community (e.g. Blake’s Albion), or invest a real individual with this mythic sense of collectivity-as-one (e.g. a monarch), would be alien to small-scale foragers. They are always many, always related, but always multiple. Also, Bird-David’s use of ‘few-many’ as a description for their scale of being is slightly awkward but a useful reminder. They are always many, but never ‘many’ in a theoretically infinite sense, extending to people you will probably never meet. Bird-David mentions a saying from her Hebrew roots, that ‘man is born alone and dies alone’,4 by way of highlighting the almost absurd intensity of the ideology which must fuel such a perspective. Birth, for sure, is an experience where at least one intimate other is present! And the account here of a Nayaka birth, where most of the community, scattered between a handful of hamlets in a forest gorge, make an effort to be present, emphasises that for these people everything happens with others, right from the start. David Graeber, in his work with people in Madagascar, has emphasised the extent to which many indigenous and small-scale societies have a rather informal attitude to myth, and Bird-David makes much here of how unsystematic Nayaka ‘mythology’ is. She quotes Philippe Descola writing of the Amazonian Achuar, who ‘have no coherent canonical theories of the world’ — meaning that anthropologists find themselves piecing things together ‘from a motley collection of clues’.5 This ‘piecing together’ can feel like a useful exercise in understanding ‘implicit’ structures. But more often, Bird-David argues, it functions as an imposition of systematic ontology onto one which finds its potency and sophistication in intimate presence rather than systematisation. And yet this kind of attitude to death is commonly observed among small-scale hunter-gatherers. Central to Bird-David’s current take on this is the porous boundary between the sociality of death and that of life. Life here ‘usually takes place in the open. Withdrawal into a hut [even though huts here are quite open to the surroundings] is considered asocial and a sign of stinginess; sick people go to a lot of trouble and endure discomfort in an effort to stay outside a hut for as long as they possibly can.’11 Thus, to isolate the corpse from view would have been disrespectful. A special tomb would have been an affront to the open, shared way of living in flimsy dwellings. And wailing laments would have been inconsistent with the circumspect and casual way people accept the arrival and departure of others into a hamlet. There was tension over the weeks subsequent to the young man’s death, as rites were enacted to transition the deceased from the community of the living to the community of the dead. But each community was nevertheless still part of the pluripresent continuum of sonta. At an even more subtle level, Bird-David notes that the fundamental importance of ambiguities in things like kinship designations among foragers is obscured by scale-blind anthropology. Gestures here to the significance of all this for our own social imagination are, wisely, limited and cautious. The primary task for any anthropologist must be accurate understanding of the culture being studied. At the same time, Bird-David is firmly aware that the discipline of anthropology, like psychology, entails a special kind of reflexivity which cannot help but impact the researcher and their culture. Apparently significant in light of our own current drift towards xenophobia is the pragmatic and generally inclusive Nayaka attitude to ‘foreigners’. Accounts are given of how three very different migrants — a low-caste Keralite Muslim, an educated Keralite Syrian Christian, and a Hindu Tamil seasonal worker — all variously became sonta in the materially meagre world of the Nayaka. Beyond superficial romanticisation, though, there is limited room for holding this up as exemplary human tolerance and inclusivity. Bird-David emphasises that ‘the sonta solution [to living together] is one of extremely low scalability.’16 Nevertheless, even as we acknowledge that abstract imagined communities such as nations and races may be to some extent necessary to articulate our vast social scales cohesively, serious consideration of forager ‘pluripresence’ cannot help but undermine the often brittle and suffocating over-investment in these abstractions from lived experience. One of the main things I took from all this was how much Bird-David’s new conceptual frame of pluripresence reminded me of psychologist James Hillman’s repeated emphasis on Schiller’s verse: ‘Never, believe me, do the gods appear alone, never alone!’ The core of Hillman’s project was to reclaim the inherent multiplicitous reality of the psyche from the totalising influence of monotheism.19 Polytheism for him was a crucial modality through which to image the psyche, and to honour its frustratingly (for the monotheist ego) motley being. And the subtle trap for the monotheist approaching polytheism is to take each of the many gods individually — this god has such-and-such attributes, here’s the story of that god. Always in polytheistic cultures such as ancient Greece, the gods are perpetually intertwined, their stories always implicating other gods into an interdependent — but still never ‘totalised’ — web of divinity. It doesn’t seem to be a huge leap of imagination to see in the polytheism of agricultural societies an internalised preservation of our state of nature, to the extent that there is such a state, and to the extent that it was governed by the kind of pluripresence described by Bird-David. 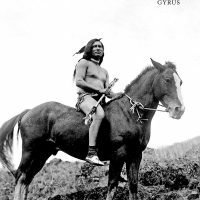 Just as the Biblical Garden of Eden images important aspects of hunter-gatherer life, Mount Olympus in Greek myth, in its tangle of relations between the gods, preserves in the agricultural imagination the primacy of hunter-gatherer pluripresence. There are persistent problems in Jung’s project of rooting ‘archetypes’ in our biological inheritance.20 But if there’s anything at all to this project, it should also be qualified by Hillman’s post-Jungian angle, which sheds Jung’s strong Christian concessions, and by the detailed anthropology of small-scale forager communities. Of course, pluripresence could never be simply relegated to the mythic realm. As Bird-David notes, it always forms an aspect of human society — it’s simply that it’s sidelined and denigrated into oblivion by the power of collective totalities in the modern imagination. To some extent, then, if there’s anything subversive in Bird-David’s work here, it runs parallel to the efforts of anarchists such as Colin Ward and David Graeber, who repeatedly emphasise not the utopian prospect of an ideal egalitarian society, but the nurturing of ways in which anarchist principles are spontaneously embodied all around us, in everyday life, in how we share with and relate to the people we know, in ways which are sometimes profoundly important, but cast into our imagination’s shadows by the overbearing light of our images of abstract collectivity and social being. For the people we know as the Nayaka, things are of course uncertain. The final chapter here details the real-world impacts of anthropology on the people it studies, as Bird-David is contacted by an indigenous person in South India who has educated themselves, encountered her work, and wants to rally her help in getting the Indian authorities to recognise him as ‘Nayaka’. He has no sonta-type relationship to the people she studied. However, since Indian government programmes attempting to respect and help indigenous communities are built on a structure of bureaucracy in which you need to prove your belonging to a ‘recognised’ indigenous group, people who live in small-scale pluripresence, as they mesh with the modern world and try to play its protections off against its threats, are paradoxically forced to shoe-horn themselves into categories which fundamentally misrepresent them. 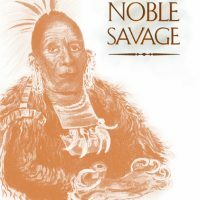 Just as indigenous land rights claims have always been dogged by indigenous relationships to land which are alien to modern modes of being and ownership, indigenous struggles for recognition and validation simultaneously enmesh them with structures and perceptions which, to an extent, invalidate their way of being. As ever, ambiguities and paradoxes thread themselves unavoidably through life. This is an essential book for anyone interested in social anthropology, and forms an important advance in understanding the various ways we imagine our lives together as social animals. Us, Relatives by Gyrus is licensed under a Creative Commons Attribution-NonCommercial-NoDerivatives 4.0 International License.